Rome April 16 (IANS/AKI) The United Nations Food and Agriculture Organisation (FAO)will on Thursday unveil 14 new heritage sites in eight countries in Asia the Middle East and Central America at an award ceremony here. 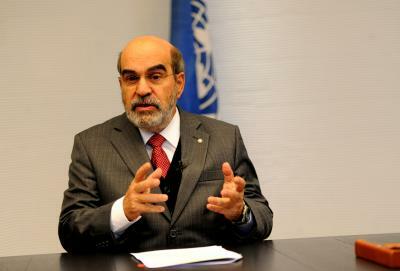 FAO chief Jose Graziano da Silva Italy s Deputy Agriculture Minister Andrea Olivero and his Chinese counterpart Zhang Taolin are among senior officials attending the ceremony at FAO headquarters the agency said. The new agricultural heritage sites are located in China Egypt Japan South Korea Mexico Portugal Spain and Sri Lanka and will all receive certificates FAO said. The designation of these sites recognises the ways that farmers herders fishermen and foresters have sculpted the landscape for centuries "to create agricultural systems of exceptional aesthetic beauty preserving biodiversity and creating resilient ecosystems and a valuable cultural heritage " FAO said. Top officials from Spain and Tanzania and Japan will also attend the ceremony as well as representatives of international organisations including the UNESCO World Heritage Centre. Participants will share experiences from their countries present their traditional agriculture systems and discuss their economic value also as tourist attractions said FAO. The newly designated sites bring to 50 the number of globally recognised agricultural heritage systems in 20 countries FAO noted.